Just got this tent-hammock as another sleeping option for an upcoming epic cross-Canada road trip. Very pleased, so far. A well-spent $40 (Canadian)! 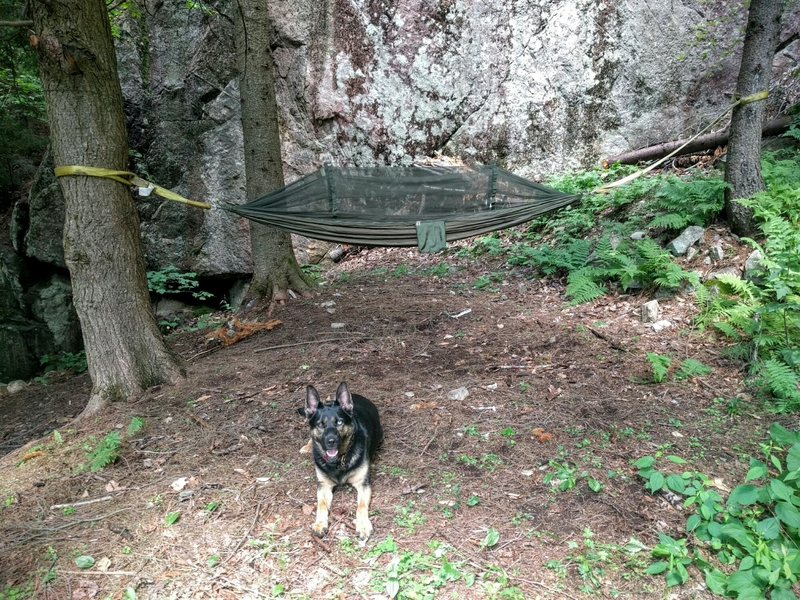 This entry was posted in Uncategorized and tagged camping, hammocks, nature by Stephane Daury. Bookmark the permalink. Yes, but I will have to make sure to leash them to a tree, so they don’t decide to run after the inevitable animals that will be around during the night: hares, deers, porcupines, etc.